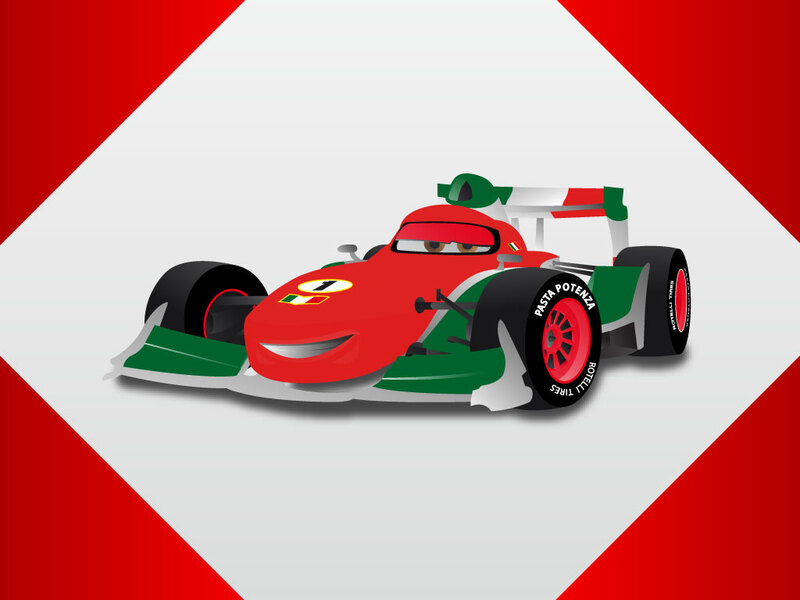 Francesco Bernoulli, one of characters in Pixar’s movie Cars 2, is captured in this vector illustration. Bright colors, soft gradients and a drop shadow help to give the cute cartoon some depth and volume. Great rendering of the lovable character that will look great in your kid friendly personal designs. Tags: Animation, Cars, Comic, F1, Francesco Bernoulli, Movie, Pixar, Racing.